As a home educating parent of a reluctant writer trying to come up with fun ways to inspire creative writing has always been a challenge. One of our most successful approaches has been to take a seasonal 'sensory walk', to describe what we see, hear, smell and feel and try to make a story from it. 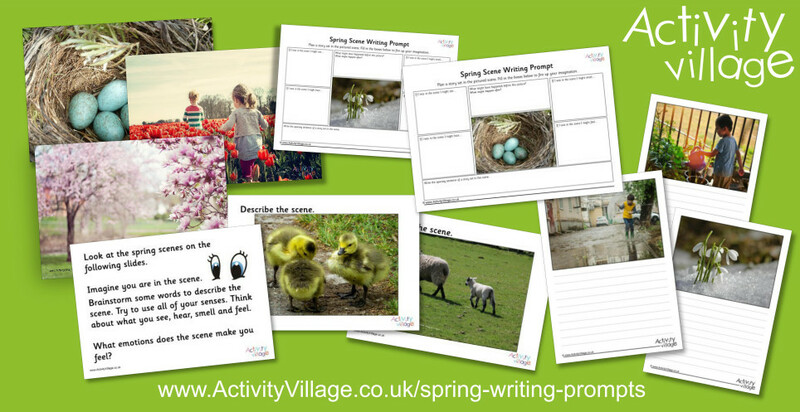 These spring scene story writing prompts are inspired by those walks. Even if you can't make it out for a walk we have provided some lovely spring images to inspire. We have worksheets, a slide show, story paper and posters of the images. Our blank worksheet would work if you wanted to take your own walk or use your own images.